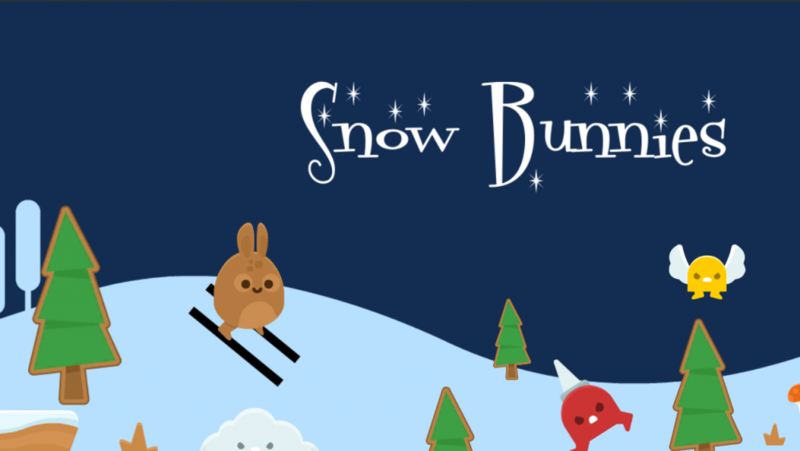 Ski and jump down the slopes while avoiding obstacles, bunnies, and… Zombies?! It’s a beautiful day to be a Snow Bunny and hit the slopes… but be careful! Rumor is, the mountains are being taken over by something strange. Glide, jump, and slalom down the hills to avoid, trees, rocks, holes, other ski bunnies, and… Zombies?! Try to save the mountains and capture as many Zombies as possible by trapping them into holes, but don’t fall in with them! Simple to pick up and play. No instructions required. Put the Bunny back in Snow Bunnies. Without the Zombies.